Finally I found answer for this just moved Response assertion under JDBC request[other screenshots are remain same]. Thank you all. Not the answer you're looking for? Browse other questions tagged java jmeter jmeter-plugins sql or ask your own question. 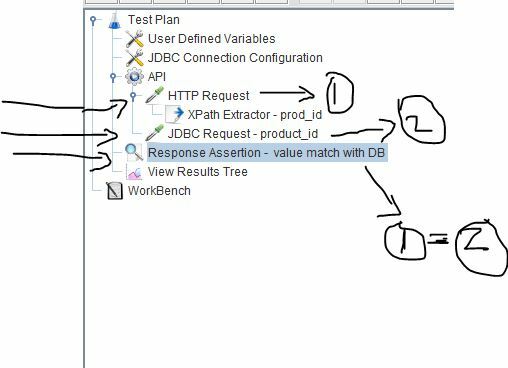 JMeter - Pass http response values to jdbc request without using xpath extractor?